Get ready to explore and learn about butterflies and other pollinators with engaging science projects using various scientific tools, hands-on lessons, and interactive pollinator activities! Campers become scientists as they study butterfly scales, identify various eggs, and much more. Participants will utilize their knowledge of butterflies when they take home and raise a caterpillar in their very own caterpillar keeper! For children ages 8-12 years old. Check-in is at 8:45 am and pick-up is at 3:15 pm. Students should bring a sack lunch. Price: $175 for members; $200 for nonmembers (includes a $25 nonrefundable registration and material fee). 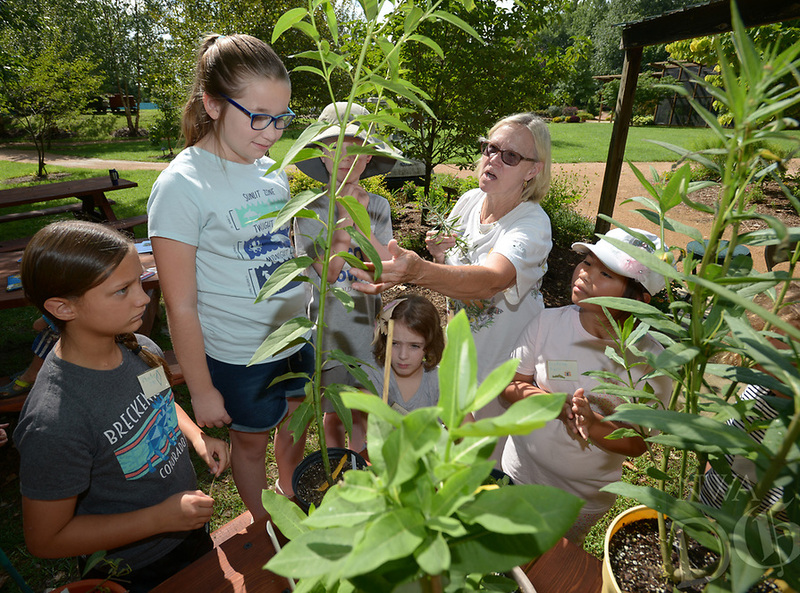 Campers will apply critical and creative thinking skills through interactive and hands-on exploration of science and ecology concepts including carnivorous plants, reptiles, mammals, insects, and much more. Participants will explore and create art work made with a variety of media and processes inspired by their scientific discoveries! A proud partnership between Ozark Natural Science Center and the local art community. For children ages 7-10 years old. Check-in is at 8:45 am and pick-up is at 12:15 pm. Students may bring a snack if desired. Price: $80 for members; $100 for nonmembers (includes a $20 nonrefundable registration and material fee).